Versatile and high-performance, the H145 has just entered EMS service at Elifriulia, an Italian company based in Trieste. The arrival of this new machine confirms a strong trend toward more security, higher quality of service and more flexibility with helicopters adapted to local needs. Here is a small presentation of this active company with the director, Federica Dal Cin. Created in 1971 by Luigi Coloatto in Grado, in the Italian province of Friuli-Venezia, Elifriulia began its activities with air spraying in this mostly agricultural region. 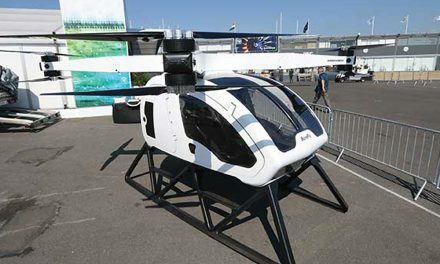 The main activity of the company has evolved since then and new machines grew the ranks of the developing fleet which assures the training of helicopter pilots since 1981. Two years later, the company became the sole agent of Robinson in Italy for R.22 and R.44 and activity continued to develop, requiring a move towards more important installations in 1990. It was the international airport of Ronchi dei Legionari situated 40km northwest of Trieste that was chosen. Today, the fleet consists of seventeen helicopters and three planes, reflecting the diversity of contracts signed with local administrations and private customers. In addition to the classic missions of air work and training were added public transportation, air rescue and fire fighting. 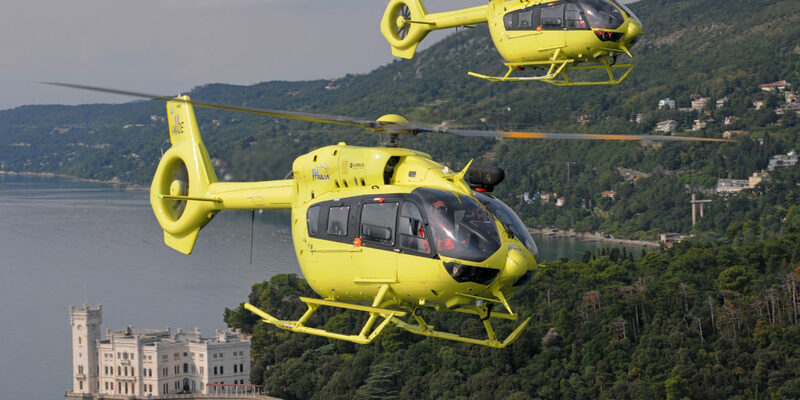 The company aligns single and twin-engine Ecureuils (Squirrels), EC 135T2 + and a pair of new H145 more specifically in charge of air rescue, since last summer for the province of Trente and, henceforth, to Udine for the HEMS night-flights. The group is a part of the oldest and most reliable helicopter company in the country today, introducing air rescue and medical transport in 1992 at a very high level of quality, recognized both by public customers and the private sector, and pupil-pilots from the around the world. To grow the customer base, the company opened four other sites throughout the country, all connected with the headquarters which has been in Trieste since 1990. “The headquarters of Elifriulia is situated in Ronchi dei Legionari, in the Northeast of Italy, with secondary sites in Tolmezzo (UD), Cortina d’Ampezzo (BL), Rome and Courmayeur (AO). We work especially in the center and in the north of Italy but we can cover the whole country according to the public bids which we win. We are also invested in international projects and partnerships with other helicopter companies. In fact, we are convinced that a collaboration of this type of activity is a win-win. The most important programs are in Croatia (medical transport and rescue), in Spain (air rescue), in the Balkans (training of pilots in the public sector) and in Germany (work on wind turbines). As mentioned above, Elifriulia is in a state of constant modernization and carefully selects its new aircraft. With the aim of satisfying the EMS specifications in the province of Trente, the company bought two Airbus H145 in 2016, a logical choice which the leader explained to us : « H145 is multi-purpose and allows to cover all of our primary missions, from air rescue to the maintenance of wind turbines to short distance offshore transport. This is why we chose this particularly successful machine. 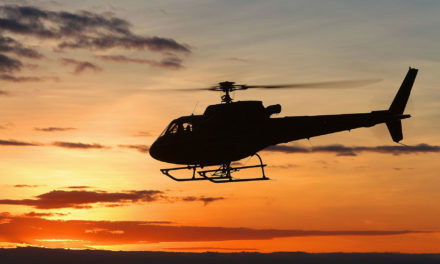 » As for the double purchase to cover a contract requiring only a single machine, Federica Dal Cin specifies that most of the Italian public bids impose permanent availability, for which the second helicopter serves as a replacement when the other one is grounded. 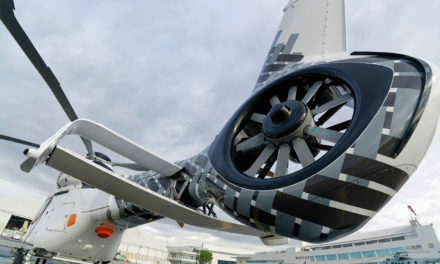 One of the main characteristics of the H145, which differentiates it from its predecessor the EC 145, is its shrouded anti-torque tail rotor, Fenestron. 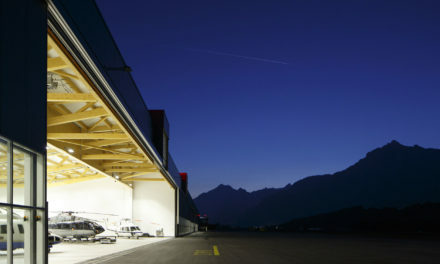 Although this type of RAC still doesn’t have unanimous support among rescue pilots (some find it effective especially in transit but not enough yet in crosswind), Federica firmly defends the choice of the company : « For us, Fenestron offers an unforeseen level of safety, on the ground and during flight. It is what motivated our choice for the EC 135 more than ten years ago to assure sanitary transport, passenger transport and fire fighting. The H145 is the development which we needed for our activities and it changes quite favorably our way of working. The high performance level and technology improves our operational abilities and our safety. With the characteristics of this model totally in sync with the requests of the market, Elifriulia invested heavily in terms of training for night piloting and night vision goggles to propose a more effective and more profitable emergency service for our customers. As I said previously, safety is our priority and after so many years of experience, our pilots are not ready to give up this system which provides them the best safety for our operational environment. One of the other qualities is the low noise level, an advantage which means that H145 can fly at night thanks to Fenestron! » The back doors which open in half-shells are also very practical, allowing to load or to unload patients on wheeled stretchers in the spacious fuselage, in complete safety with the shrouded RAC. It makes for a rescue machine that is much appreciated by the medical staff. The authors wish to thank the whole Elifriulia crew, and more particularly its CEO Federica Dal Cin who made herself available to answer all our questions.